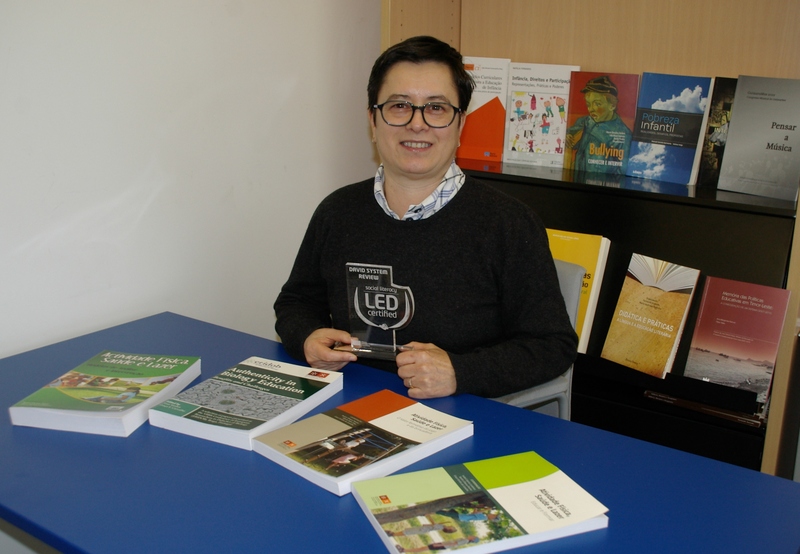 O galardão “Social Literacy LED Certificate 2014” foi atribuído pelo “DAVID Review System” ao projeto BIOHEAD-CITIZEN (“Biology, Health and Environmental Education for better Citizenship” FP6 European Project; CIT2-CT-2004-506015; 2004-2008), que envolveu 19 países e foi coordenado pela diretora do CIEC, Graça S. Carvalho. O prémio foi atribuído aos quatro melhores projetos escolhidos entre um total de 527 analisados. DAVID is a KA4 – LLP project co-funded by the European Commission whose objective is to design, test and validate a Review System for Interventions in Social Literacy from European countries, aiming to establish a pan-European database – of reviewed and non-reviewed entries – supporting a certification and recognition process of Social Literacy interventions. “LED on Values operates in the context of an increasingly complex network of paths and destinations and in a scenario of crossroads and diffuse perspectives on tomorrow with the aim of making this network apparent using leds that, despite being small, make the crossroads that children will have to face clearly visible through the dynamics of their shared learning experience”.